I often get invites for food reviews, but haven't actively participated in many. In a city that's ruled by heavy traffic and long travel hours, going out for food reviews after a long day at work doesn't thrill me much. But when the team at Sheraton send their invite, I do not think twice. It's a joy being there, each time and every time. 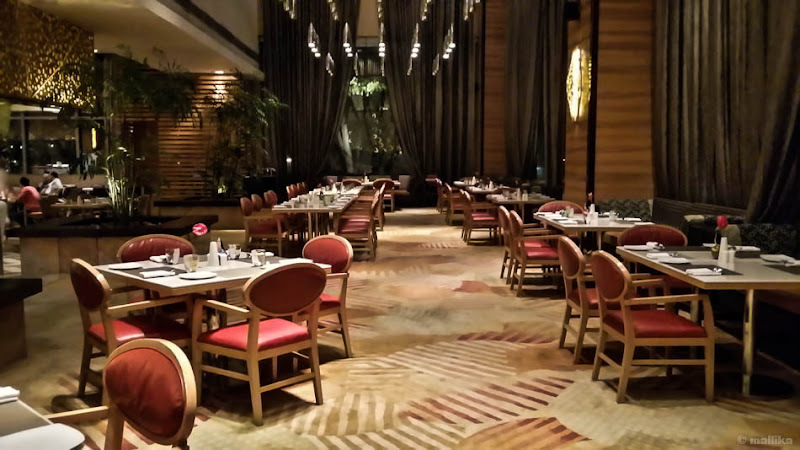 As much the long travel stresses me, being at Feast, their signature multi-cuisine restaurant has always been a fantastic experience and eases me out. 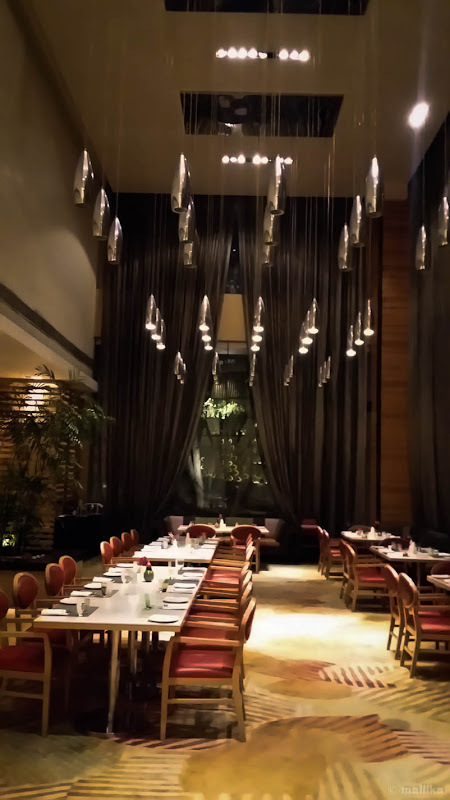 Their ambiance is warm and inviting, and their staff amicable and friendly as always. 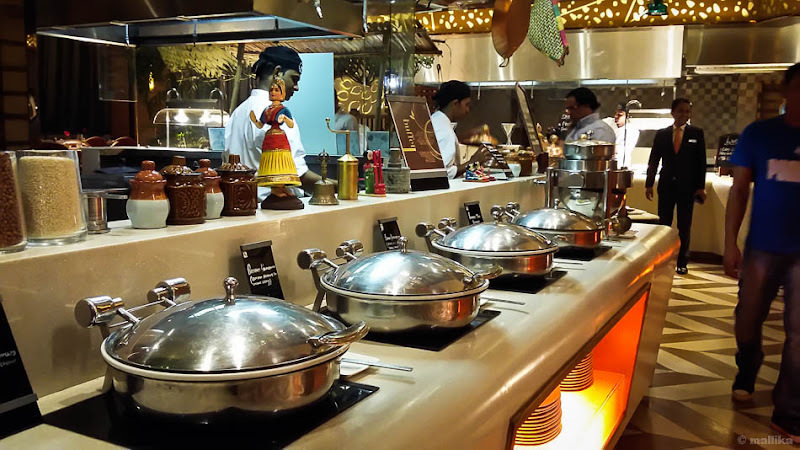 Feast is out to host the much famed Chettinad food festival through this week. If you are from Bangalore, this ubiquitous cuisine needs no introduction to most of you. 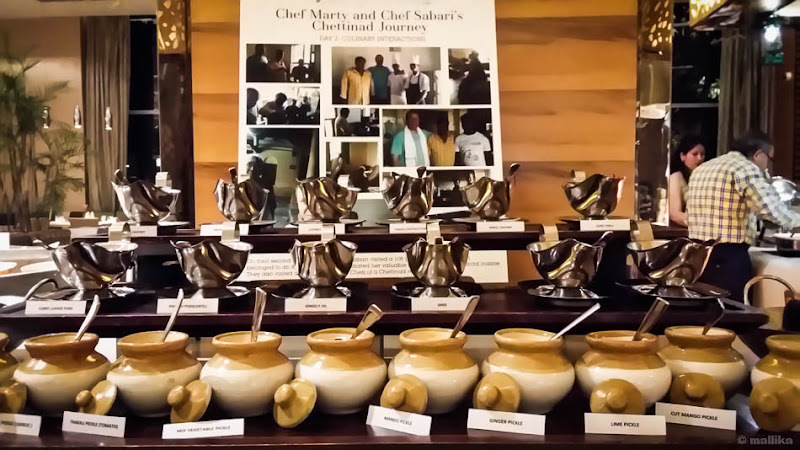 As often acclaimed to be a spice lover and non-vegetarian's delight, this food festival left me with deep impressions of unique flavors, spices and aromas of this region, demystifying all myths associated with typical South Indian cuisine of rice-rasam or idli-dosa. Quite surprisingly, the spread was elaborate with variety of options for vegetarians like me, which I had quite unexpected, so much that my non-vegetarian counterparts spreed themselves in vegetarian dishes with great delight. As we sipped the jaggery based orange drink, which tasted quite like a subtle, Westernized version of our Paanaka, Chef Marty and Chef Sabari gave us a round of introduction to the Chettinad cuisine, walking us through their journey in exploring this cuisine by travelling down South to rural villages of Tamil Nadu, visiting homes there to understand the culinary traits of the Chettinad region and tap its roots. 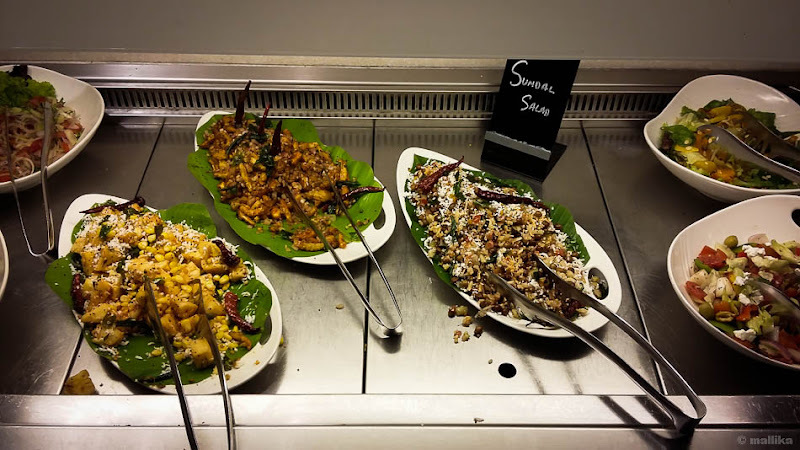 What came as an outcome from this food excursion, was a revelation that most homes around this region use minimal spices and oil, yet they rank high on flavor, as opposed to the way Chettinad cuisine is often acclaimed in restaurants. Ofcourse, it doesn't come as a surprise that this cuisine has always known to be high on heat, owing to the liberal use of peppers and chillies, that's traditional to their cooking. 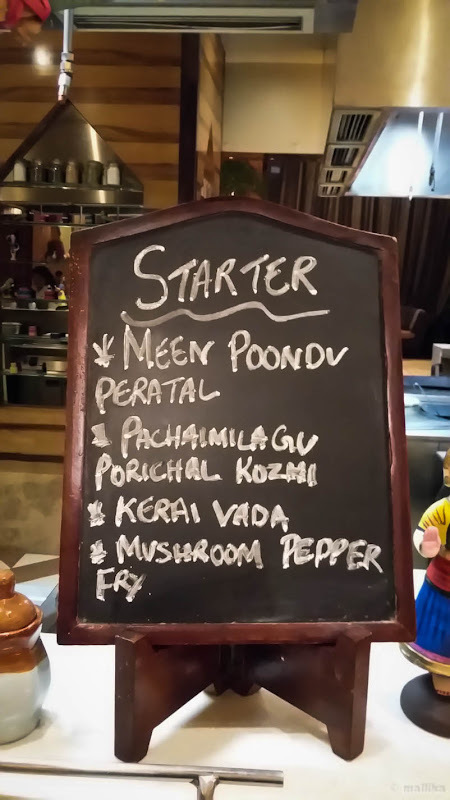 The menu at Feast was quite expansive, ranging from live cooking stations for idiyappams, appams and paniyarams to starters with likes of mushroom pepper fry, a vegetarian twin of pepper chicken and banana blossom vadai, both of which were peppery and delectable. 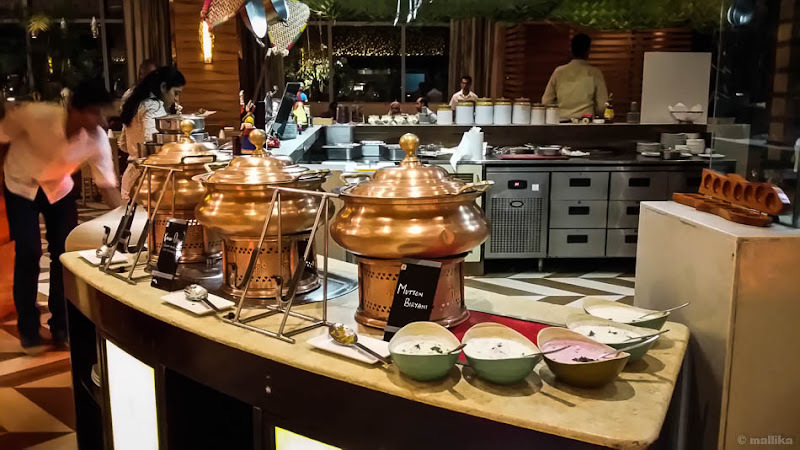 An island counter that hosted a spread of malagapudis and a variety of chutneys and pickles did leave our taste buds watering. It's hard to scoop out each of it and give a try, yet harder to resist. Nevertheless, we did give a try. While I do not have a big appetite for sundals, their baby corn sundal salad was quite a modish twist to the traditional version. 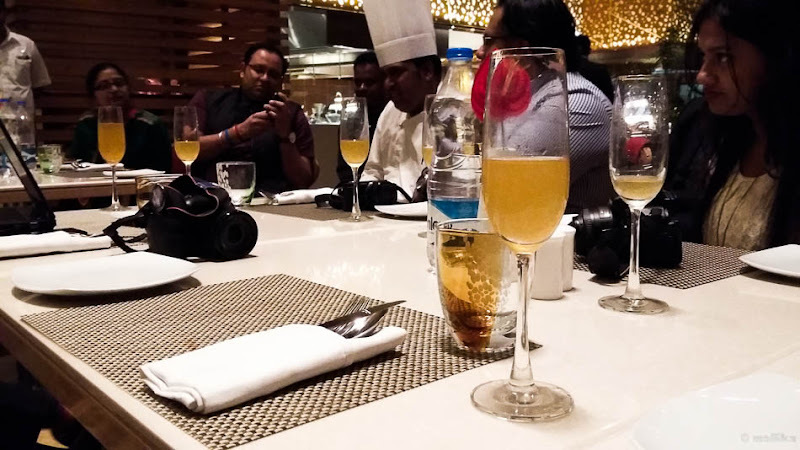 Conforming to traditional home styled way of cooking with spices used in moderation, Feast excels in bringing the best of this cuisine in terms of flavors, style, aromas and variety. 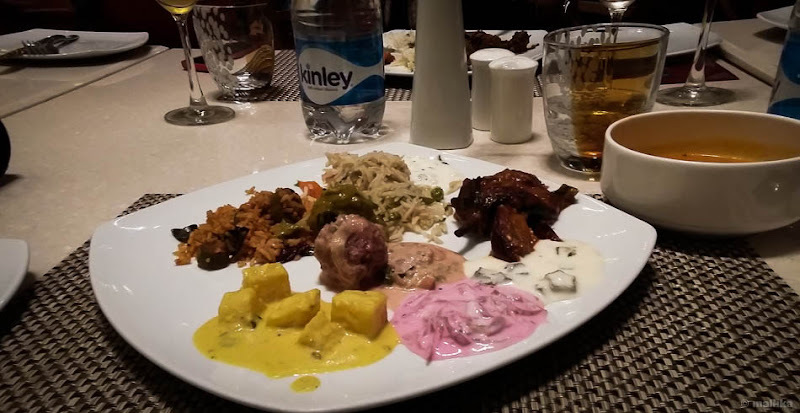 Much of Chettinad menu sounds like a tongue twister to me, but that did not deter me from trying Mor Kuzhambu, Kathirikai Sadham, Kaikari Biriyani, Kathirikai Kuzhambu, Beetroot Kola Urundai and many others that I could barely pronounce, each of which were high on taste and flavor. The Beetroot Kola Urundai was rich and stood out from the rest, nearly resembling in flavor to the North Indian Kofta curry. The Pachadis served alongside the course acted like coolants and helped soothe the spice in the curries. By the time we were done with the main course, we had stuffed ourselves to the brim, barely being able to move after such heavy indulgence. Yet, I always make some room for desserts. I forced myself to taste all of the four desserts on menu. Of all, Elaneer Payasam was fresh and subtle with hint of sweetness from tender coconut, while Asoka Halwa, that seemed quite close to the North Indian Moong Dal Halwa wins hands down! It was rich, full-bodied and flavorsome till the last bite. Had I not stuffed myself so full, I was sure to take couple of more helpings of this. If you love hot, spicy food and swear by love for fiery taste buds, then you just have the right cuisine for you. Visit Sheraton and be a part of the grandeur of Chettinad. Indulge in the aromas and variety of spices that invite a mouthwatering prospect for every foodie!